See the results, trust Inbound. In 2018, we worked with BMW Portugal on a GDPR campaign. 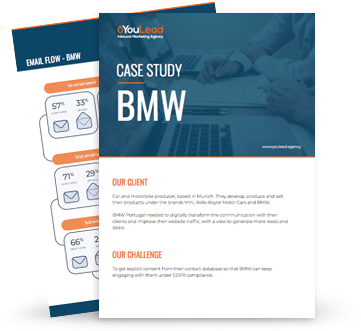 This Case Study shows how we managed to engage all the database on a GDPR compliant e-mail campaign and how it is now impacting BMW's marketing numbers.